I kind of wish Makeup Revolution would stop coming out with chocolate palettes. Okay, let's be honest, not really, but my checking account would probably thank them because I can't help myself, I have to collect them all. 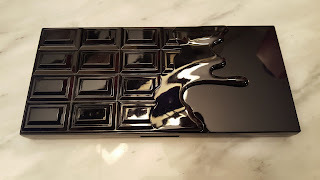 The most current chocolate palette is the Vice palette, which came out around the same time as Too Faced's Sweet Peach palette. While not a direct dupe this was intended to be a similar palette. 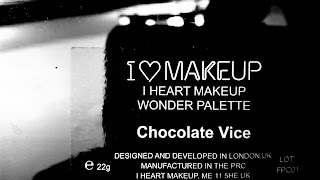 I couldn't resist the pretty oranges and literally scooped up the Vice palette as soon as it dropped. As always, the packaging is really cute, although not in the expected peach color and instead a sleek black. 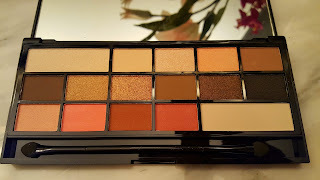 The colors are gorgeous and while I really, really wanted to love this palette I was disappointed. 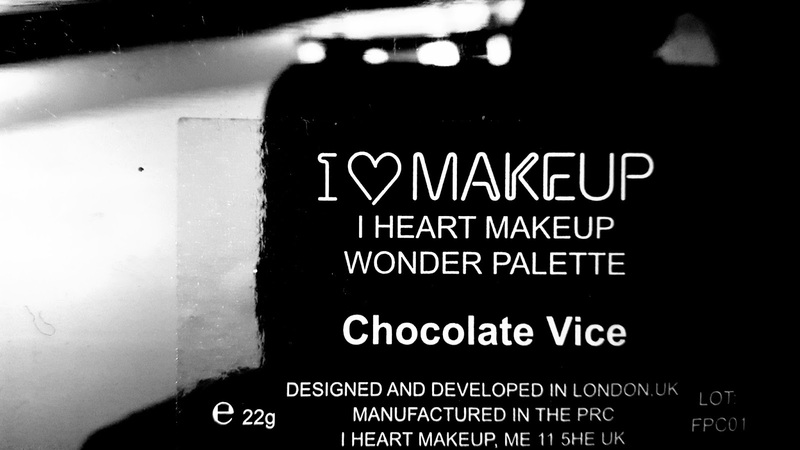 Again the quality wasn't what I've come to expect from Makeup Revolution, particularly the chocolate palettes so that was kind of a bummer. 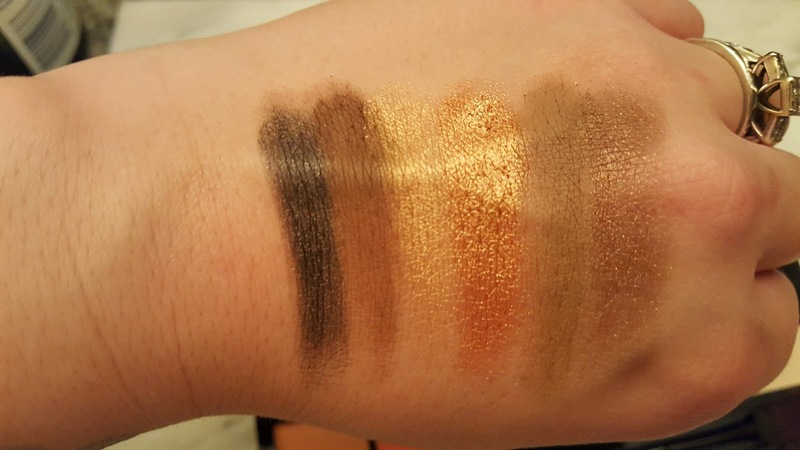 I must say, I'm really impressed with the middle row of shades, which are all highly pigmented and super buttery and blendable. However, I already have a million shades that are like those...it was the last row I was really hoping to be wowed by and it just didn't happen. 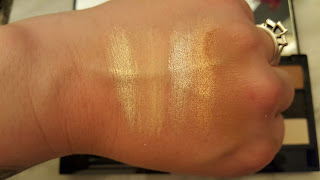 The colors are not very pigmented (possibly buildable, will have to play around with them) and pretty chalky. The top row was full of chunky glitter shades, which are never my thing. Overall the palette was okay, better than the Pink Fizz palette, but I probably wouldn't purchase again. Great review. The middle row would be my choice too, bottom row, not so much!! Oh I don't like when you get so excited for a new product, then it disappoints but fun none the less!! Hope you're having a wonderful day gorgeous gal!! 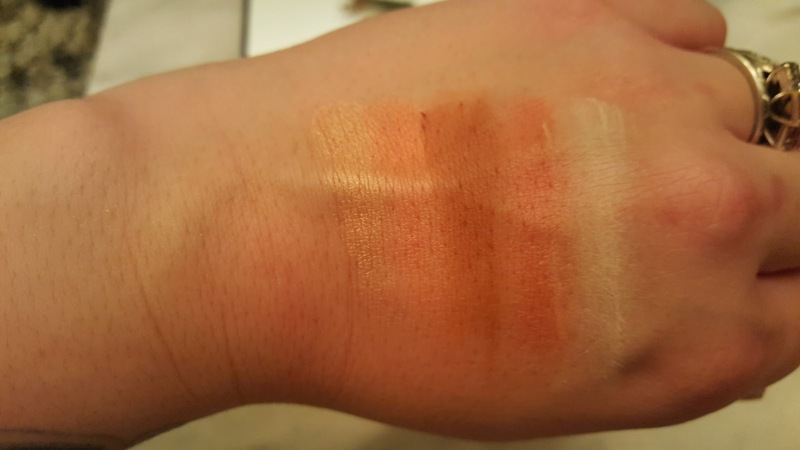 I don't like the look of this palette tbh, it looks too same old same old if you know what I mean? The packaging is pretty cool though! Great review! The packaging is cute. I haven't tried this before. I've been dying to get my hands on this palette, the shades are gorgeous! I think I'll buy it since I'm saving for my baby so I don't want to splurge on the "real thing!" I remember your review of the pink one (I think it was the pink one) and this one looks so so lovely but awww, what a disappointment. It's great to know that and read lovely reviews like yours to know for the future. So thanks for letting us know hon. What a bummer that it didn't live up to your expectations. I just picked up the PB&J one from TooFaced and can't wait to share...I was so excited when it came back in stock. Thanks for your honest review, LOVE that from you sweet friend! i think i will skip it, but it's good to see what is out there! I do like the middle row ahhh such a shame though especially when you come to love a brand and what they put out quality wise!